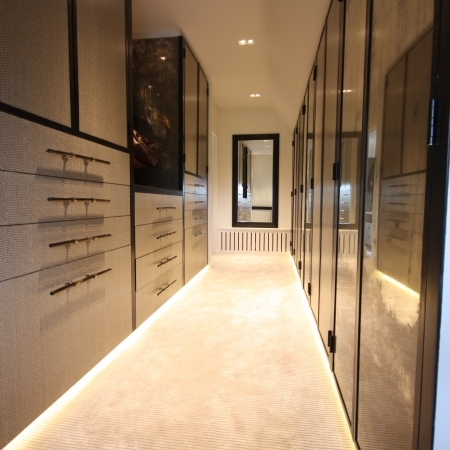 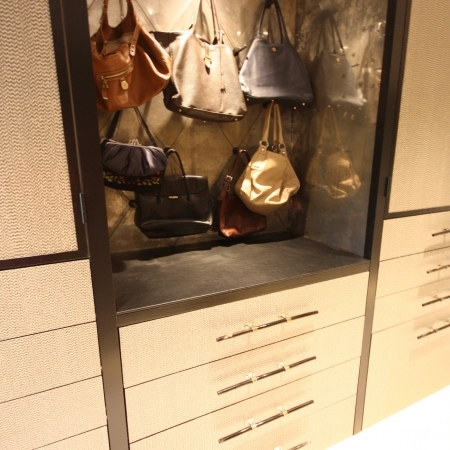 Fully fitted walk-in dressing room. 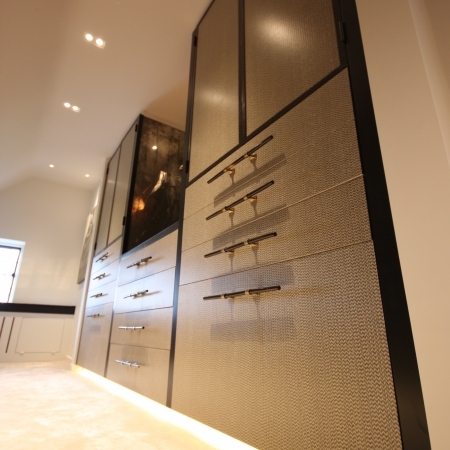 Made to measure floor lit dressing room with fitted wardrobes and drawers finished in bespoke herringbone veneer. 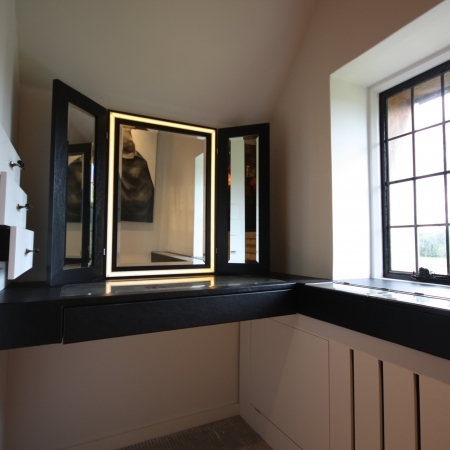 Antique mirrored handbag display and lit dressing table mirror. 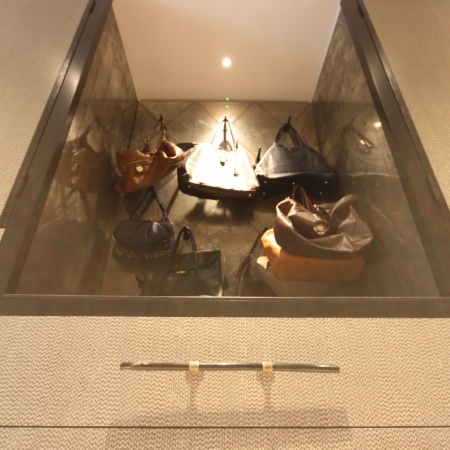 In collaboration with interior designer Victoria Hetherington.